With a 30 USD price point, console gamers may now play the most popular PC game in the world - PLAYERUNKNOWN'S BATTLEGROUNDS. 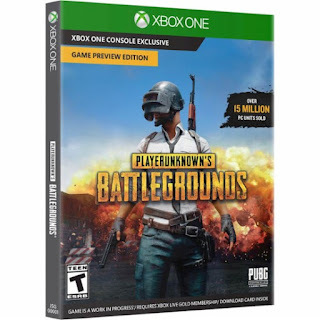 You may now order a copy of PLAYERUNKNOWN'S BATTLEGROUNDS XBOX online. In the PHILIPPINES, PUBG would be mostly played on the PC. PLAYERUNKNOWN'S BATTLEGROUNDS (Steam) is cheaper at only 700 Pesos with the Christmas Sale.